Messages from Egypt - Remembering the 13th Code of Ascension. This is our brief blog of our adventures in Egypt. Sorry to say this is not a full account of our travels . . .
but a little hors d'oeuvre for the heart, with messages that we can apply to our path to 2012. For those of you that know my work in sacred sites, you also know that I have been traveling to Peru and the Maya world since 1986. These countries exhibit a quality of heart and a deep sense of home and oneness that makes me feel whole and clarifies my spiritual path. But this year, my partner, Raphael, and I decided that it was time to stretch our spiritual envelopes and go to another area of our beautiful planet that is also very sacred. We decided this not because either one of us feels finished with Peru or the Maya world. Neither one of us can see that happening. The Maya and the Inca worlds are part of our hearts, our souls, and are very much home to us. Egypt and Greece have been calling us for quite some time. I have to admit that I was a little nervous about going to Egypt. My experience and memories of Egypt, like many who have had past life remembrances, are not so joyfully remembered. Egypt was a country that I was evacuated to after the fall of Atlantis. (Read "Healing Atlantis" at http://www.alunajoy.com/2007june2.html). It was not an easy time for me and other ones with sixth sense abilities. So we made our arrangements, and set our itineraries for Egypt. We invited a few of our soul family to join us. These ones were people who have traveled with us before and which we had felt a deep connection of the one heart between us. We decided to travel to Egypt without reading anything about the sacred sites . . . that included anything related to Egyptian archaeology or spirituality. I wanted to go clean and fresh like a child. I wanted to feel the sites just as they are, without any preconceived ideas or expectations, just as I ask my groups to arrive in Peru and the Maya lands. I know that if we arrive without preconceived ideas, expectations or agendas, it is much easier to read the true history of a site. We all know that history was written by the conquerors of the lands. Thus the history is always tainted by their ego driven perspective. It has always been my goal and desire to discover, unravel, and literally excavate the truth that still is anchored in sacred sites all over the world. So, as I jetted off to Egypt, I realized that the only thing I knew about Egypt is what I learned from Indiana Jones, and the comedian Steve Martin . . . remember that old Saturday Night Live skit "Walk like an Egyptian"? I'm kidding here, but the point I wanted to make is that I made an effort to not know anything, so I could remember everything. True history is always anchored in sacred sites. 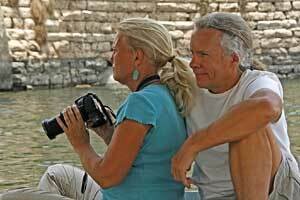 So we headed off to Egypt to embark on our first pilgrimage and Nile Cruise in Egypt. I was certainly not prepared for the immense grandeur, power and indescribable beauty of the sites, and also the warmth of the Muslim people of Egypt. Our trip began in the city of Luxor. Luxor is on the opposite side of the Nile across from SITI I, the first site we visited, and the Valley of the Kings. I felt SITI I was a great starting point for my introduction into Egyptian energy for this site was gentle, kind and felt like great nourishment for the soul. It felt like we could break free from all our human egos. It felt like this site taught us how to set our souls free to fly high above all human limitations, gravity and our 3-D world. The site was filled with beautiful original murals, and amazing dimensional doorways of which we could almost feel we could run through. As I continued to tune into the site, something strange happened. Now, remember that I told you that I know nothing about Egypt. So what I saw next, I did not expect. Right there in my mind's eye, in pure, living visionary color was Yoda . . . Yep, I am talking about the guy from Star Wars. I thought "Okay, now I am really losing it", and on top of it all, I am ripping off George Lucas! I shook my head thinking the desert heat was getting to me. I flashed on the fact that this could be a deciding moment in my career as an oracle! I tuned in again hoping for a different vision. Yep, you guessed it. It was still Yoda! I told our group about the vision fully expecting the ribbing and teasing that was sure to follow. Maybe Egypt wanted to shred up what was left of my fragile, dying ego and strip away what was left of my dignity as a seer. Okay . . . if Egypt wanted ego death, here we go. A stone's throw away from SITI I was a site called Habu. Energetically, Habu was the polar opposite from Siti I. The site was filled with overpowering ego. 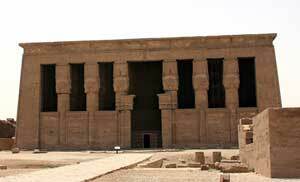 This was a temple that was built by a Pharaoh that claimed that he was of the Ramses lineage. But this was a lie. 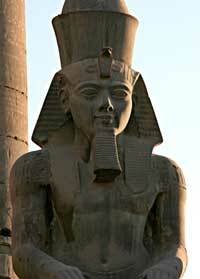 So he built large temples & created art to enforce and continue the illusion that he was a Ramses Pharaoh. The walls were covered with images of war and killing. It was certainly not a peaceful site, unlike the one we had just visited. The energy we were feeling was a saturating power over others. A great deal of effort by the builders of Habu was made to project that the owner was something more important than he actually was. This temple was a place where illusionary history was important. It reminded me a lot of the world we live in today, and the illusions of the material world. We are judged by how we dress, what kind of car we drive, and what neighborhood we live in. We are judged by our ancestors, and our educational level. Even today, we still believe that those people that wear new age style clothing, pray, meditate, use crystals etc… are holy or enlightened just because of their appearances. These material definitions of ourselves are not who we really are. In this site, we learned about illusion versus reality. We learned about the importance of being authentic and not to pretending to be something that we are not. Because this site was so anchored in the illusion, it was a perfect place for us to leave behind the illusions inside of us. This faux Pharaoh's endeavors had created a sacred site where we could leave our illusionary selves behind and be cleared for what was real. This is just what we did. I am sure this was not his vision of this temple. But we were set free from our illusionary perceptions of our self just the same. We moved onto the Valley of the Kings. 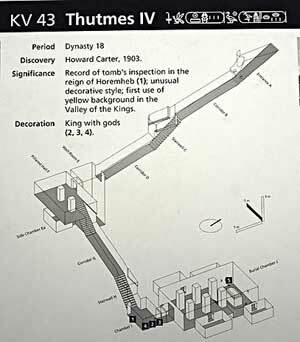 This is an area where archaeologists have found many, many tombs including the famed King Tut. Having had an uncomfortable experience with a mummy in a museum years ago, I did have some apprehension about being around so many tombs and resting places of mummies. The landscape was completely stark, and extremely harsh. It was so hot that I thought I was going to be a mummy myself. On top of a white sandy landscape, there was an odd black rock that created a fractured shell atop the white sand. It looked like melted sand and sounded like glass when struck. I am not a geologist, but my intuition told me that this black rock was evidence of an unimaginable blast of heat; a blast that very well may have caused the fall of Atlantis. The ancient feeling from this rock was unbelievable. In spite of the starkness, I found an incredible heart and peace in this valley. Others, including myself, felt Jeshua's presence here. I felt he had been initiated in these so-called tombs. As we began to visit different tombs, my original feelings began to become more concrete. I realized these were not tombs at all. They were initiation chambers. 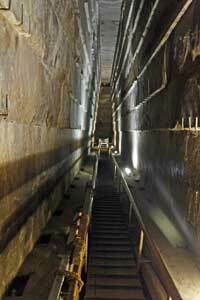 The first tomb we visited was Ramses VII. I laid down on the ground in line with the sarcophagus so I could tune into the energy anchored here. The first and most powerful feeling I had was that there was no death in this chamber. No death at all . . . Only a powerful, spiritual freedom . . . A freedom of time and the restrictions of time. On the ceiling, there appeared to be murals that described calendars and time. This is not what I expected to feel in a tomb, but I was coming to Egypt without any expectations now wasn't I? So, "This is interesting" I thought. "Let's go try out another one." 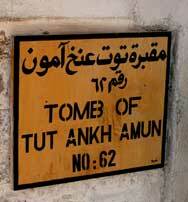 So we crossed the canyon and descended into the tomb of Thutmes IV. We had to climb up an extensive length of stairways, and then turn around to go down deep into the mountainside. Once inside the main chamber, there was a huge and beautifully decorated sarcophagus. It was truly amazing. There were four guardians guarding the corners of the sarcophagus. The artwork was fabulous. One of the guards of the site came up behind us and asked if we would like to have the lights out. "Of course!" we said. "Yes please". So as we settled into our places, the guard disappeared, and in a few minutes, he flipped off the lights. Now remember, we are deep inside a mountain down a huge flight of stairs in a mummy's tomb! So this is about as dark, or as scary, as it can get. You cannot see your hand in front of your face. Oddly enough, there was absolutely no fear in this chamber. Even with my fear of mummies . . . and an ancient memory of being suffocated inside such a tomb. We had no fear at all. It was incredibly nurturing. We sat in the darkness and tuned into the energy that was enveloping us. 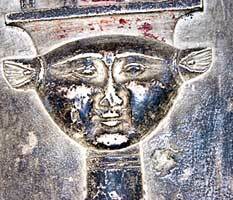 Above the sarcophagus I began to see a swaying, rocking, boat-like figure of a woman. She was rocking back and forth like a mother would rock a child. Her arms looked like wings. There was an intense sense of peace with this being. I was intrigued. When the lights came back on, the group began to speak about what we experienced while meditating in the dark. Many of us saw the winged woman. We realized this was the spirit of Ma'at. Ma'at is the patron of truth and universal order. Without fundamental order in the universe, all of creation would perish. She is known as the Egyptian Goddess of the underworld. She would test the value of a person's soul after death by weighing their heart against one of her feathers. If the heart of the deceased was heavier than Ma'at's feather, it was clear that their heart was filled with wicked deeds, and the soul would then be fed to Ammit. Ammit was a deity with the head of crocodile, the torso of a leopard, and the hindquarters of a hippopotamus. He was in charge of the destruction by devouring the souls of the wicked leaving no hope of further existence. If the scales were balanced, indicating that the deceased was an honorable person, he would be welcomed by Osiris into the Blessed Land. Was Ma'at measuring or balancing our hearts while sitting there in the dark? As days passed, we became more aware of how blessed we were on this pilgrimage. At this point, I am really beginning to like this tomb experience. So far it had really offered some great insights and nice pieces to the puzzle that I knew were coming together. So we decided to enter another tomb. This time we decided to explore the energy inside Thutmes (Thoutmes) III. Here we had a completely opposite experience. Unlike the other tombs that we had visited, this one was unusually hot and incredibly humid inside. It took us awhile to get past the feeling of the physical humidity and heat. But once we did this, we also realized that the energy itself inside this tomb was thick, dark and sticky. It was obvious that the builders of this tomb had quit working before it was completed. Even though the art work was incredibly beautiful, and the writing was extensive, they never finished it. Our feeling was that the energy they were rebuilding in this tomb was lost somehow, and they abandoned the project. It certainly was not a comfortable place to be in, and we did not stay very long here. I do not think that I will be going back. There was one last tomb that we needed to visit and that was of the famous King Tut. I thought this would be the most insightful and interesting of the bunch. I was really excited. We had to wait awhile to be able to enter the tomb because a National Geographic team was in the tomb filming with the famous archaeologist Dr. Zahi Hawass. We were the first to enter King Tut's tomb after Hawass exited. I had been interested in Tut Ank Amon for a very long time. So I was really looking forward to this experience. Once we entered the main chamber, you could see that the body of King Tut was on the left side of the tomb, and the gold sarcophagus was on the right side. Again this is where your expectations can get in the way. As beautiful as the sarcophagus was, I felt very little energy. After our experience in this tomb, I asked other people who had visited King Tut, what their experiences had been. They all said that they had positive experiences with the boy king. And then it dawned on us that Mr. Hawass had just left the building. Of course the mummy was not speaking. He was literally in protection mode after the film crew had been there. I hope to return here one day to pay my respects, and to see if the boy king will share any of his insights with me. I entered Luxor with great excitement. There was a presence in a living stone that was calling me inside. It was the first living stone I had encountered while in Egypt. It was also the first transmission of true history that I received to this point. The being anchored in this monument was one who had survived the fall of Atlantis, and now acts as an anchor of truth and light in the sight of Luxor. In the last days of Atlantis, humankind was about to ascend, anchoring fully all 13 codes in human form on the Earth for the first time. The dark forces at the time tried to control the collective ascension, and by doing so, caused the fall of Atlantis. This was the blast that melted the sand you saw in the Valley of the Kings and sunk a great portion of the civilization. This (Luxor) Temple was built just after the fall of Atlantis and was an exact replica of the temple that we were working in to restore the 13 codes that were lost in Atlantis. The original Atlantean Temple was made out of translucent marble-like material, but this Temple was made out of the available sandstone. Once the energy was reactivated in this Temple, then we expected that the sandstone would be transformed into the luminous marble as it had been in Atlantis. After the fall of Atlantis, we had to work quickly so as not to lose the memory of the 13th code. Unfortunately we didn't work fast enough, and there was so much fear and confusion brewing in the collective. We lost the essential energy of the 13th code. It was a huge and painful loss for us all, but it was a great lesson in learning to let go . . . (More about the 13th code in the next article). When I asked him if we could reactivate, or reclaim, the 13th code now, he looked at me blankly. I was left with the feeling that this was for us to do. I began to explore deeper into the site of Luxor, but the being in the living stone came along to help us understand the site further. In the main area, there is a square open area surrounded by columns. There used to be many large crystal-like stones placed in various positions in this open area. Here, each initiate was assigned to work with one stone. Only by having multiple initiates working in unison with their own assigned stone, could they activate the energy to the 13th code. There was not one person in charge of all the energy; this way the energy and power could not fall into mis-use. It was a fail safe plan, or so they thought. As we know, the 13th code was lost, and it is the very code that we are working collectively to activate now as 2012 approaches. Again, we must work together in unison and in harmony to have the planetary awaking we desire. It is a return to the ONE . . . in the many . . . in the physical world. One of our group members felt that the crystal stone generators were placed inter-dimensionally in subterranean cities underneath. In fact, this was quite true as the lands of Atlantis were just underneath our feet . . . as we would soon discover in other sites as well. In the very next site we visited, we discovered another Atlantean Temple reproduction. The site of Hatshepsut is the most dramatically visual site I think I have ever laid eyes on to date. Egypt so far has left me speechless and is beyond comprehension. The architecture, the art, the sacredness, and absolute grandeur are beyond anything I could write about, or photograph. I struggled to take it in all at once. I wanted to feel it all, in its entirety, inside my heart and my soul. But I cannot because I am not big enough to contain it. It is wonderful when I find myself stretched beyond my current perspectives. Hatshepsut was stretching me for sure. As I begun to tune in to Hatshepsut, I became aware of thousands of light beings anchored in the surrounding mountain sides. They surrounded the site in a half circle and what felt like a loving hug that contained the energy in the site. Because of the work our group, and the work that others had done in previous days, I was told that many dark beings that surrounded the site had been released into the light. Now the guardians of Hatshepsut were greeting us with open arms and offering us flowers of gratitude. I felt completely welcomed by this site. There are three powerful levels to the Temple of Hatshepsut. All three levels are connected by a dramatic, wide processional ramp that reaches the top level of the Temple. On the second level, on the left-hand side of the ramp, we discovered a small area created in honor to the Hathors. 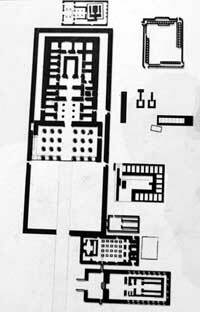 The top level, which was the Main Temple area, was built as a replica of an Atlantean Temple. Here it still retains some of the energy of Atlantis. As we reached the Main Temple area, the local guardians seemed to recognize us. We did not have to ask, but were quickly offered a private area to do our ceremony and prayers. We had the entire Main Temple area for at least half an hour. The guards held back a crush of tourists outside the main temple. This was a surprise for us. We heard that groups had been kicked out days prior for having the same focus as our group. But here we are, . . . invited in with open arms and no restrictions. I know that it was the impeccability of our collective heart in our group that opened these doors for us. It was a great reminder that when one enters a sacred site with love and respect, you will receive love and respect back, and we received way beyond what our minds could conceive or expect. In this site, our group learned about true power. We learned that real power comes from the heart . . . it is giving, it is focused, and lives for service . . . it acts with humbleness, and never lacks abundance. We learned that false power comes from the mind . . . it takes from others, is self-serving and is ego driven, jealous, competitive, and consequently has struggle and lack of abundance. One thing we knew for sure . . . in that moment we were blessed beyond expectation and completely abundant. We were grateful and thankful for the guardians there . . . both physical and nonphysical. We did not leave before we took photos of our group with the guards. It was quite a loving experience . . . That is me behind the camera :) Darn . . . I forgot to by-locate for the photo opp! Dendarah, Hathor Temple and Temple to The Sky Goddess Nut. The next day we took a convoy to a site called Dendarah. I had shifted our schedule at the last minute after I saw a picture of this site. I know I had to come here. When we drove into the parking lot, we could see the temple in the distance, and could feel a powerful, magnetic energy. I could hardly contain myself from running to the front entrance. A guard dog at the front of the temple jumped up and bounded toward us like he was glad that had we returned. He ran right up to me. He followed us as we entered this temple. I never felt so welcomed in a Temple before. Before we got to the main building, just after the entrance, on the left side is a statue of the God, BES. 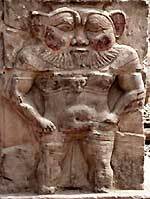 Bes is the dwarf God of the Heart. Bes is associated with Children, Childbirth and the protection of children. The Temple of Dendarah is dedicated to the HATHORS . . . the Goddesses that were and always have been. The Hathors are also known as the Goddesses of love, beauty and music. Dendarah is also dedicated to the Sky Goddess Nut who was the Goddess that gave birth to the stars and planets, and the outer limits of the universe. In the main area, just inside the entrance, there are 3 rows of columns, 3 columns in each row, on the left portion, and the same on the right side. On the front of the building, there are 6 columns; 3 on each side of the main temple door. Each column was topped with 4 Hathors, one on each side of a square column. We started doing the math: 9 columns + 9 columns + 6 columns = 24 columns x 4 Hathors = 96 Hathors in the main temple chamber alone (see graphic). It was an overwhelming site and permeating energy of the Hathors. The architecture of building used the Sacred Geometry of the Golden Mean Spiral. The temple is also a calendar. There are 365 steps in the entire building. On the right side of the temple, there were a set of stairs that spiraled up to the roof. I was told that this reminded us of how a hawk, Horus, ascends toward the light, the Sun. 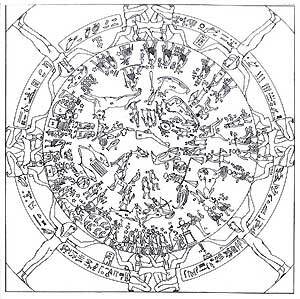 On the top of the temple, there was a room with what is known as the Dendarah zodiac on the ceiling. (see graphic). Back in Luxor I went to a papyrus Museum, and the only papyrus that called to me was the Dendarah Zodiac. I bought it because I was called to it, but I had no idea what it meant until this moment. So there was evidence that time and cycles of time were important to the purpose of this temple; just like Maya temples. Then on the left side of the temple, there was another set of stairs that shot straight down to the main level. This realm reminded us of the quick descent that the Hawk makes when he returns to Earth. I think it can also represent the descent of Spirit into a physical form. 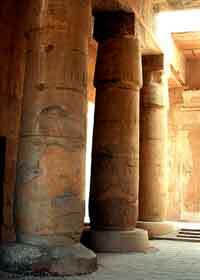 Dendarah today is built atop another ancient temple also dedicated to Hathor. The temple underneath dated back to what they called the old Kingdom that we think is an old Atlantean Temple. There were a set of steps leading down into this older temple. Guess what I found there? Hallelujah, my dignity was returned. I am redeemed as an oracle. 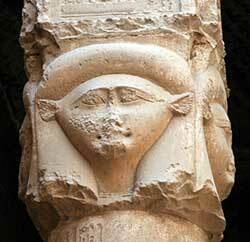 There, in the pristine carvings from the old Kingdom, was the exact image I "saw" at Siti I. I found Yoda!! Looking back on this now I can say this site was my favorite site of our trip. It was most impacting to me because it was so timeless, deep and utterly indescribable. It was the one site I could still feel inside of me when I returned home. I found myself in tears or joy and remembrance more than once inside this temple. It was familiar yet ancient beyond comprehension. We were happy when we got the go-ahead from the Sky Goddess Nut and the Hathors to make our first egypt sacred site essence. We made it in an area of the temple where the Sky Goddess Nut was on the ceiling giving birth to Hathors. The Hathors guarded the door. 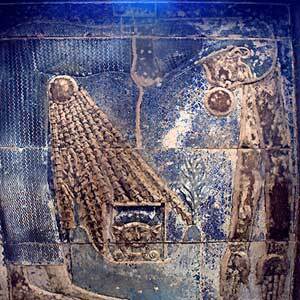 Dendarah - The Hathor and Sky Goddess Nut Essence. There is something incredibly magical about traveling on the Nile. Being adrift on this sacred river helped us integrate and anchor what we had experienced so far. Throughout the day in the distance, we could hear the Muslims performing their prayers through speaker systems attached to the minarette spires of the mosques. There is something amazingly sacred about a culture that collectively sets out sacred time, five times a day, to honor God. The rest of the world could take inspiration from this. Even though I am not a Moslem, I felt blessed by their prayers, and it brought tears to my eyes. 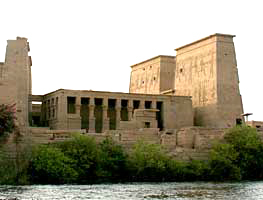 The first site on the Nile which we explored was the Temple of Horus at Edfu. This temple is the male version of Dendarah. Architecturally, it was very similar. Horus was the father of Humanity. Horus is the great protector. This male power was a conscious power; not a controlling male power we experience today. It was protection of loved ones. I was told that Edfu was a Temple to the Enlightened Male. Then we headed onto Kom-Ombo. This temple has 2 front entrances. It was used by the Bird Tribe (the Falcon Order represented by Horus) and the Reptile Tribe (the Crocodile Order represented by Sobec). The Reptiles would walk into the temple on the left side, and the Falcons would walk into the temple on the right side. Then, as they came into the area at the back of the building, each tribe would surround one of the two black marble stones situated there at the back section. As they worked with the black marble stones, the energy created would come from the underground cavern areas, run down the center and into the small, narrow, vertical chamber area, and then shoot up into the sky and flow out into the world. This temple was a reflection of Atlantean Technology that each tribe would be working with in harmony together. No tribe was allowed to access the power without the other. They used to do this in Atlantis but on a much more sophisticated basis. Working with the power in the sites in unison and in harmony protected any one being from misusing that energy. It was quite clear to me that the thought never crossed their minds that they would not be able to work in harmony. It was not part of their consciousness. This Temple taught us about Conscious Cooperation and creation. Yes. I did see a snake charmer here. Kissing a cobra is not my idea of fun, but this guy was having a great time. We did not plan it this way, but it seemed that we saved the two best Egyptian sights for last: Philae and Giza. We were on our way to the site called Philae. 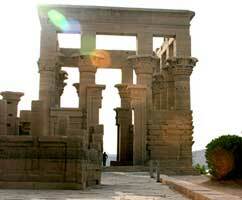 Philae is also a site that honored the Goddess Hathor. In the past few days, I felt these amazing goddesses from time to time. It was wonderful getting to know them. It was wonderful feeling their energy. I felt the support of the Hathors with our group. It was a nurturing, comforting energy. But it was also a powerful and deeply knowing energy. When we entered Philae, I could sense that the veils were very thin between the upper dimensions. We could feel huge spheres of energy coming down from the sky and others coming up from the Earth. The place where they merged was in the center of our hearts. This energy vacillated like a pulsing light or an electrical current; much like a heartbeat. In one instant, we were in the heart of the sky, and a split second later, we were in the heart of the Earth. These extremes blended in the center . . . our hearts. In fact, the Earth and the sky were very much like the two sides of our heart. We need both sides to live. The energy in Philae reminded me of an experience that we had on our last trip in Palenque, Mexico with a living stone called the Butterfly Man of Copan Read more about the Butterfly man here http://www.alunajoy.com/2008march.html). The Butterfly Man taught us about the center point of the flutter inside of our hearts. It is that center point where we achieve oneness in ourselves and with all life. It is this center point, once awakened, that is the realization of the 13th code, and the collective ascension (More coming on the 13th code soon). Philae felt like home for the heart. It displayed beauty, grace and nobility without ego. There was ease and knowing of the true self and self awareness, self confidence and self love in the collective sense. Music describes the sensations and energies that we felt here more so than words. Palenque, Mexico is also best described with sound. Philae has a frequency similar to that of the Lord of Peace, Pacal Votan, in the Temple of Inscriptions, in Palenque. The message received here was that we are being called to come home to the heart. There is no other way to be in this sacred place but to be in the heart. The etheric guardians here still shared their frequency with us (and everyone that visits), so our bodies can rewire, or reboot to a frequency of heart that we have long to remember. 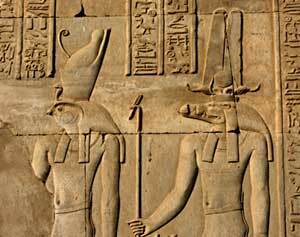 The beings in Philae did not have a sense of separation between them and the universe. It was all one, and the one was all. They knew how to live in a sacred oneness with balance and harmony. Philae is encircled in a large bubble of energy. There is a dome over the site. This keeps the energy protected and contained. These ancient ones had existed long before Atlantis. There were other temples here before the Atlanteans built over them with the one we were visiting. They still live and guard the site but in a different dimension, and they are protected by this dimension. One of the interesting things I learned from the ancient ones in Philae was that they lived by the knowledge that the world molds around you and not the other way around. They did not feel the heaviness of forced thinking to manifest. They knew the true way to perfectly manifest their reality was by attraction. There was no consciousness about manifesting with force. They created their world in the present moment. They did not create from ideas from the past, nor worried about the future. They we present conscious creators. Philae taught us the importance to be self aware while we are creating. We need to learn to manifest with no stress or strain and to let go of the control and effort it takes to hold onto everything. They did not TRY to create . . . they were just BEING, and their hearts manifested what their hearts held true. There was no force. This wisdom brought the sense of peace and harmony to the community there. Perhaps the dimension will reappear as we become more aware. This feels like the paradise that we all wish to return to. The feeling in this site was very much like Palenque where there is an inner dimensional city. Despite the huge crush of tourists on this day, I was able to hold space in one of the temple alcoves in order to make a sacred site essence. I found a niche in which to place the bowl and then sat down to meditate. Droves of tourists walked by but did not enter the room I was sitting in. Spirit held the space for me and the essence. Then, as I was about to pour the master essence into its storage bottle, two of our group came and held the space at the door so that no one would come in. The bowl was vibrating with thousands of energy bubbles. There is a level of heart here that I have never felt anywhere on the planet. It was amazing. Philae - Heart of Conscious Creation Essence. April 28, 2008 - King's Chamber, Cairo - 2 hours, from 6am to 8am. It has taken me over one month to write about what I am about to mention next. I know that anything and everything I say about our time in the King's Chamber is going to be a pathetic jab at the actual truth. In fact, every site I have been to in Egypt has given me more incredible experience than I could ever justify with words. But here I go. I will give it a try anyway . 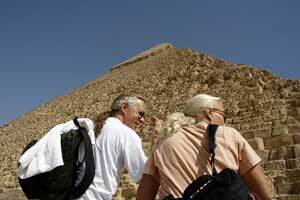 . . Cairo, the Giza plateau, and our time in the King's Chamber. Our tour organizer and guide had arranged for one hour of private time for our group inside the King's Chamber. These arrangements do not come cheap however, and we had paid a considerable amount of greenbacks to do this. We also got the blessing of going into the pyramid at dawn. We would be the first ones inside the chamber. This was also an incredible opportunity as I know pyramids reboot themselves and clean out during the night. When we arrived, we got the news that we did not have our one hour private time . . . we had two! You know we always say that pictures do not do amazing places justice. It is an understatement for Giza. The pyramids are so huge that it is just hard to conceive that mortal man had built them. 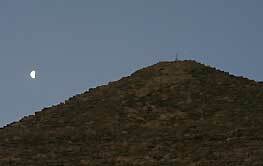 A huge moon hovered right at the peak of the Great Pyramid which we were about to enter. It was so surreal. We entered through the side entryway to the main entrance. As we began to climb up the grand gallery to the King's Chamber, I worked hard to let go of any expectations that I might have about what I would experience there. As in every sacred site that we travel to, the biggest obstacle to obtaining the truth that is anchored there is our own expectations. And let's face it, no one can go to Cairo and the Giza plateau without having huge expectations. We had heard all the wild and strange stories from others who had traveled here. As we continued to climb, I could feel my ego arguing with me. The first feeling was a sense of the immense amount of stone that was above me. I was not feeling claustrophobic, but just the intense, dense weight of it all. As we continued climbing, there were obvious energetic doors. Each door came with an energy field which we had to walk through. It felt heavier and heavier. With each layer, I found my ego thinking other things like "What if someone freaks out? What if we panic?" or the scariest one of all . . . "What if we don't have any experience at all?" I was one of the first in our group to enter the King's Chamber. Talk about instant manifestation of my worst fears! Inside of the King's Chamber was anti-climactic to say the least. 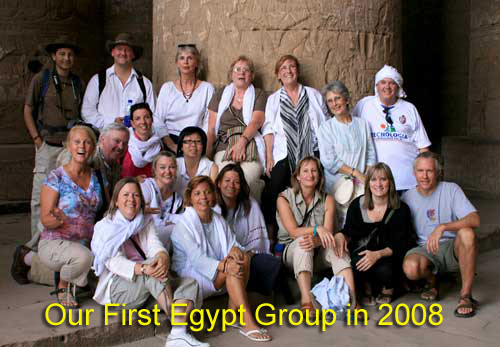 We had spent many days in Egyptian temples all the way down the Nile. Each site was breath-taking, beautiful and unbelievably artful. The King's Chamber was the polar opposite of anything we had come across in Egypt thus far. I walked into the chamber. It was huge, ugly, empty, and felt quite industrial and heartless. I was a bit overwhelmed at the incredible, huge stone slabs above me. Obviously no human being could have built this. There was even a weird extraterrestrial vibe about the place. I thought to myself in my disappointment "We just wasted a lot of greenbacks." That was a lot of money to come to some place that is unbelievably empty, and sterile. So I thought "We are here. We might as well make the best of it." So I sat down, and began to meditate. As the rest of the group made it to the top of the gallery and entered the chamber, they also sat to meditate. Some took turns to lay down in the sarcophagus. We sat quietly in this void of nothing. I think about an hour had past, and I begin to notice what was really going on in this chamber. Maybe it took me an entire hour to get out of my expectations and my ego. Maybe it took an hour of our energy building in the chamber for me to see what was going on. I do not really know, but I started noticing that words would not work in this chamber. Everything we tried to say, and every little noise we made, would be amplified and then instantly be blended into the center of the room into one unified sound. Soon someone in the group began ever so quietly to sing a song. I could not tell who it was at the time because, like I said, every sound made in the chamber blended into the center into one. Sound had no direction here. It had no orientation point. It just was. The visions in my mind's eye burst alive with the sounds made by the song she was singing. I watched the energy in the chamber come alive. Universes upon universes appeared in my mind's eye. The energy was not coming from the chamber; it was coming from us. When I realized there was energy in the chamber, I got excited. Now I did not have to face my worst fear of wasting two hours and a big chunk of change to sit in clunky granite box for two hours. So I grabbed my essence bowl out of my day pack and grabbed the water. I placed the bowl in front of the sarcophagus. We lit a small candle on either side. I filled the bowl with water in hopes that we could capture this experience in the water. At this point, I thought that this was the energy that we had come for. But I was wrong. What followed was so amazing that I could not have imagined it. How could I? I received a message from the Star Elders, and they said in their usual flippant way . . . "You all got to start making a lot of noise." So I got up my nerve to break the silence, and I told everyone that the Star Elder said that we need to make a lot of noise . . . now. It did not matter if we sung beautiful notes or made funny noises. We just had to make noise. There was no right or wrong way to do this. Now I am well aware no one wants to hear me sing. I am sure that there were others in the group that felt the same way. Luckily there was no separation between the sound that I was making and anyone else in the chamber. So we made joyful noises all knowing, that at this point, no one could tell who was making what sound. There was a comfort knowing we would not be judged for our voices. I could not tell who was toning, crying, praying or making any other noise. Any sound we made turned into what sounded like a choir of angels. It was the most beautiful music I have ever heard. I am not kidding here. I wish I had recorded it. The only ones that may believe this are the ones that experienced it. The sound was coming from everywhere. It was the entire universe contained in that sound. It morphed into an amazing song of which we were all singing. We knew that the sounds we were making out of our mouths were not the sounds we were hearing. It was the strangest sound phenomena I think that I have ever experienced; yet it was strangely familiar. The sound began to trigger an experience that I had in a vision, which I had about 22 years ago, when I spent the night inside Palenque, Mexico. In Palenque, I had learned about this energy in a sound Read about Palenque here. Here in the King's Chamber, we were experiencing what I had learned about 22 years ago. We were living it. If we learn something with our minds, we can talk about it, and write about it. But we can not use it because it is not real. When you truly experience something, it becomes living truth within you. I knew that in this moment we were experiencing something unfathomable and profound. We were living the experience of the creative force of the universe. I began to sob with ecstatic joy. It was like coming home. The space is void of anything - anything at all. Void of Expression, Void of Ego, Void of Life. But . . . it is everything that ever was, and ever will be. It is the life that comes out of nothing. It holds the memory of the birth of the universe . . . the sound of creation that can only be brought to life by the awakened Spirits of many. It is the Great Mystery that can never be understood. You are Gods, and the Gods that made the Universe. This space is not for you to awaken, but for you to awaken the universe . . . To bring life to its full glory. I began to see this energy spill out of the pyramid and wash across the planet . . . and I could not quit crying. The things I was feeling were so deep inside me that I can not describe it to you. I can only tell you the symptoms of that experience. I could feel this was something that I had waited for . . . for a long, long time. It was the experience of the 13th code. As the energy peaked, I bottled up our precious essence to bring home to share with the world. We hope it is an inoculation to assist everyone to remember the awesome creative power that is in each and every one of us. Giza - The King's Chamber - The Living Creative Power Essence. As we continued to experience that eternal present moment, I did catch a bit of the history of the pyramid. It is way out there so . . . gulp . . . read at your own risk. Remember, I am just the messenger for the sites I visit. So here goes . . . The chamber inside the pyramid is literally a magnetically sealed creation chamber. This pyramid was not built here on Earth, and it was so ancient that I could not stretch my mind enough to wraparound the length of time it has been in existence. I could see that this pyramid was manifested by star ones, and it was brought here to hold creation in place. Yep . . . I said it was brought here. Let me remind you how much stone was around us at this time. Now you can see why I was a little nervous about telling you this. Anyway . . . They could transfer themselves into and out of the chamber at will with sound. While in the chamber, they made sound that created our world, and maybe even universes. The chamber was magnetically sealed to contain the creative potential. Even now, with the door open at the entrance to this pyramid, the energy is still sealed, and the chamber is still operational. We could feel layers of this magnetic shield which were the energetic doorways that we felt coming up the Grand Gallery. Darn, I wish I had brought a compass. Spirit was so good to us here. We needed every minute of our two precious hours in this chamber. If we would have only had the original one hour time that we were promised, it would not have been enough. Thanks to divine Spirit for doubling our time in this chamber place. The Egypt group photo in Dendara. Top row: Gabriel, David, Linda, Miriam, Barbara, Mo, Nigel. Middle row: me Aluna with my mouth open, Ed, Kate, Caroline. Bottom Row: Denise, Gail, Liz, Maria, Debra, Louise, and my sweetie Raphael.